Which is better for ubuntu 10.10? I think btrfs still is not complete. As far as I have heard btrfs is still in the testing phases, but ext4 is getting better benchmarks each month. Until I see btrfs as a standard option for a slackware install I will not consider it stable enough for implementation. I agree with mfillpot. 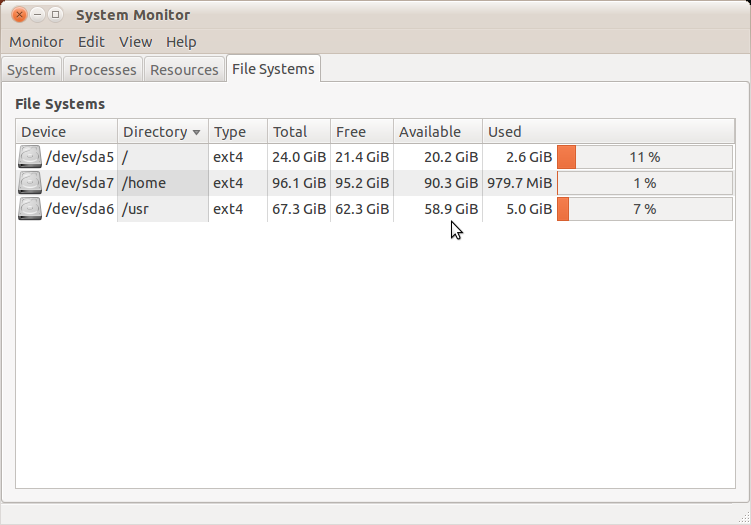 I have ext4 running on all the machines on my home network now. I just updated the last vestiges of ext3 to ext4 and I'm really pleased with it's stability. Then again, I'm anxiously awaiting btrfs and might start experimenting with it soon. It seems to have all the features of lvm and ext4 and a whole lot of features of its own. But, as far as my production machines, btrfs is still not stable enough. I'm sticking with ext4 for now. I change home directory to ext4 and see that login speed and shutdown is improved and don t see error on starting system.but I still have problem with starting system. sometimes when I plug in hardware such as mouse or flash my system hangs and even don t get to login screen.I have this problem with ubuntu 10.04 and 10.10, and must remove hardware. The issues that you are describing do not reflect on the filesystem, it sounds like hal or dbus (whichever ubuntu is using) is not configured correctly.